You might prefer to buy an insurance policy and forget about it, but that’s not a great choice if you want to make the most out of your planning and investments. 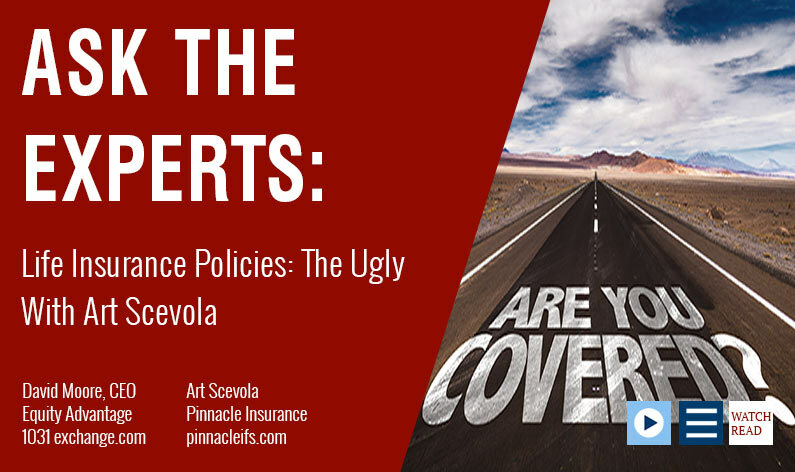 David Moore of IRA Advantage talks with Art Scavola of Pinnacle Insurance about new options in life insurance policies and the importance of continuing to reevaluate insurance needs with a team of professionals. David Moore: Let’s talk about the fact that people are living longer lives and sometimes ending up where they don’t necessarily like to be. How are they taken care of? Art Scavola: The reality is that there are a lot of time bombs ticking out there under the banner of long-term care insurance. Long-term care has been promoted for years and years as a solution in the case someone loses capacity. The sad part of the problem is that the carrier-producing groups have consolidated into four or five carriers in the United States that have that risk profile that allows them to be able to continue to be holders of long-term care commitments, and the premiums are going up every single year it appears, and maybe for the foreseeable future. I think everybody would agree, if there’s no end in sight to the premium increase, then we might want to see if there are alternatives. Because if I don’t get into a claim, that money is all just down the drain for the most part, like term insurance money that my beneficiary couldn’t collect on because I didn’t die in time. 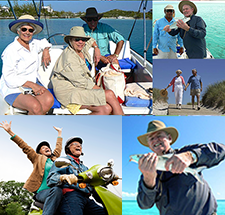 So long-term care alternatives have arisen and they’re called hybrids. Art Scavola: Hybrids are policies that actually can be invested in typically from CDs and bonds that I already have in order to put into a single premium, typically one where there is access to all of the money, including the face value down to perhaps 80 or 90 percent of the overall cash for long-term care claims. And the claims are tied to the activities of daily living typical of any long-term care; it’s typically a little more liberal of a requirement than is true of the pure long-term care policy. So, as an example, if I had a $100,000 CD and I was 68 years old, and I got $140,000 single premium policy by just moving the $100,000 under that, then I could have access to $140,000 for long-term care subsequent to making sure I qualify, and be able to draw that out of an amount that was greater than I actually invested right from the get go. Art Scavolla: Now, is that a full solution? Chances are not necessarily, but it may be a lot better than paying $5,000, $6,000, or $7,000 a year and up for an indefinite period of time with an indefinite ceiling for long-term care insurance, which may or may not result in the full sum commitment of claim. So we’re seeing a lot more hybrids. All the major carriers that we work with through my brokerage do carry a product for this area. Long-term care typically single premium, not a lot of death benefit associated, but enough to make it attractive for somebody 55 or older to be able to put that in place. David Moore: That $5,000-$7,000 a month burn rate reminded me of you mentioning the bleed out of a life policy. That’s one of those other issues I’ll throw in here as we discuss the ugly side of insurance. Can you provide just a brief description of what you meant? Art Scavola: There comes a mathematical point at which a life insurance policy, if it has gone down in value to such a degree normally through either over-borrowing or very small amount of premium just to maintain it up until you get to a certain point, becomes essentially a time bomb that’s going to lapse, and when it lapses there’s no value for anybody. What we find ourselves trying to do is to catch that before the event occurs, whether the owner is a charity, an individual, or a trust. It requires a couple steps on the part of the consumer to say, “Let me look at an in-force illustration based on the current rates, and take me back through the mathematics of the illustration process: Is this policy going to be supportable at the rate I’ve assumed that I would continue to pay? Will I need to pay more? Or if I do nothing, will the policy die before I do?” That issue is an economic question that needs to be dealt with as soon as possible, because we’re seeing the trend line that more of those are being subject to tailing off, as you said. David Moore: I always joke when we’re talking about exchanging and other issues that it’s one thing to have good tax counsel, and it’s another to actually use them. I jokingly ask people, “Your tax people like to hear from you before April 14th, right?” This situation sounds like anything else you’ve invested money in—you need to continue to look at it and talk to professionals in your life to make sure you’re doing what’s right for you at a given period of time. Art Scavola: Absolutely. The ugliest thing of all is to sit on your hands and never go out and seek the professional advice and coordination you need. You really can’t afford to deal with less than a expert when dealing with your life insurance. The same applies to planning for your retirement, it’s just too important, and the laws covering IRAs can very complex. Put David and the entire team of professionals at IRA Advantage on your side today. Call to get started, 503-619-0223!